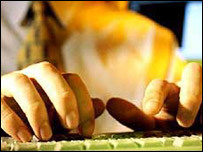 A computer failure at the Department for Work and Pensions (DWP) was "blown out of proportion", says the government. The DWP admitted 80,000 staff were not able to process new pensions and benefits claims for several days, but regular payments were unaffected. It said it would have received 60,000 new claims during that time. Union leaders said the glitch showed the folly of plans to lay off thousands of civil servants and the Conservatives said it was a very serious incident. DWP computer specialists have launched an investigation into the massive IT failure which took out a third of their computer network. BBC political correspondent James Hardy said on Friday: "After nearly five days of chaos and round the clock repairs, the system was finally given the all clear this afternoon." Work and Pensions Secretary Alan Johnson told the BBC it was now "business as usual" for its customers. "We are over it and really our customers won't have noticed any difference. "Our staff would have because they've worked very hard to overcome it." The DWP said it still did not know how many pensioners or benefit claimants had been affected. But it was confident the figure would only be a fraction of those who lodged the 60,000 new or amended claims it received in the last few days. About 80% of the DWP's network crashed on Monday and technical experts from Microsoft and the computer firm EDS have been working around the clock to find the fault. Meanwhile staff were forced to communicate by fax because the e-mail system broke down. The Conservatives called for an inquiry into the failure. They demanded to know the size of the backlog and how long it would take to sort out. He says plans to cut more than thousands of civil servant jobs at the DWP, effectively replacing them with computerisation, will only lead to more problems. In a written parliamentary statement, the DWP said that in 2003/2004 it spent £412.5m on external management and technical support, including consultants, advisers, accounts and lawyers. The breakdown was £306.7m on management and IT consultancy, £51.5m on staff substitutions and contractors and £54.3m on professional services. A DWP spokesman said the increased use of outside consultants and advisers was required to implement "major modernisation programmes as planned". "In particular modernising our legacy IT infrastructure, integrating business processes inherited from our predecessor organisations and modernising service delivery, including the introduction of Pension Credit and the DWP element of the new Child Tax Credit." 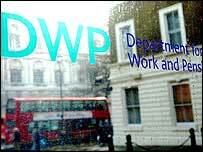 The DWP's modernisation programme was one of the largest of its kind in Europe, he added.